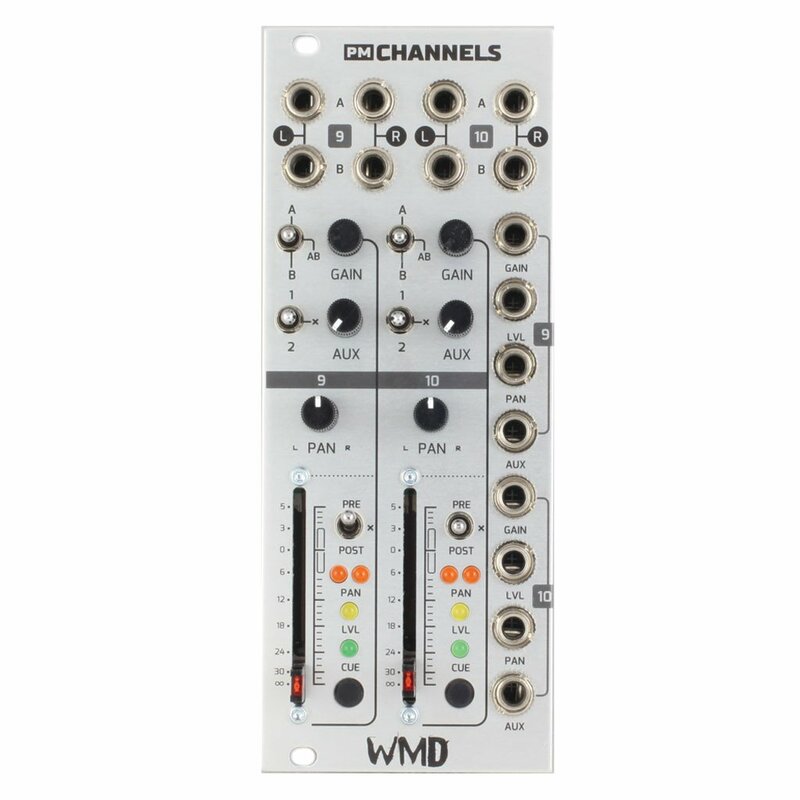 Adds two more stereo channels to the WMD Performance Mixer. - Two sets of inputs for each stereo channel that can be selected or summed via the 3-way toggle switch. - More than 30dB of gain over each channel lets you use external sources such as consumer audio equipment, not just modular signals. - CV over Gain, Level, Pan, and the Aux send for both channels. - Channels can be muted with PM Mutes expander as well as included in the Cue Mix. *Cannot be used independently of the Performance Mixer.